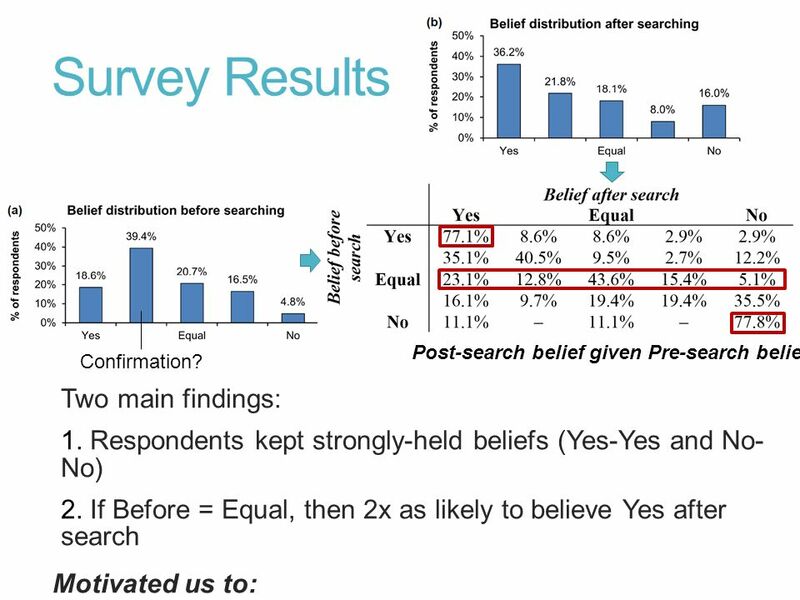 Survey Results Post-search belief given Pre-search belief Two main findings: 1. 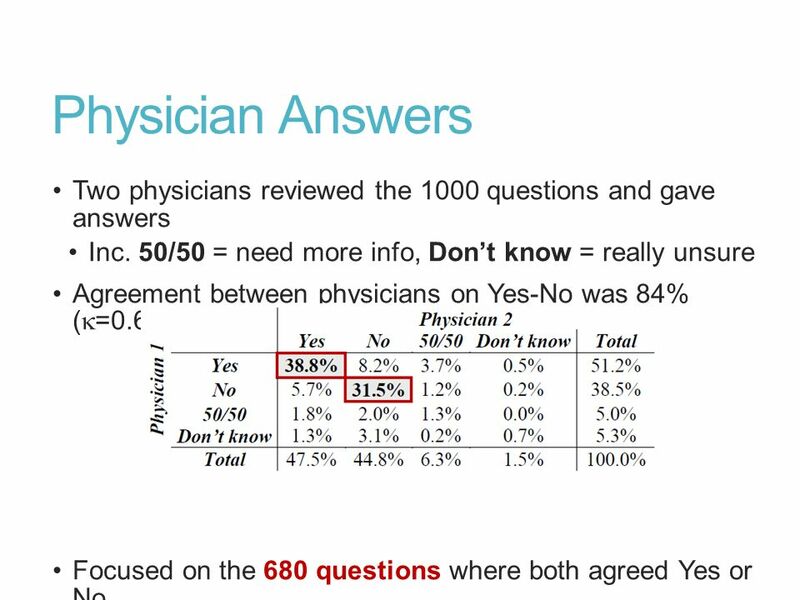 Respondents kept strongly-held beliefs (Yes-Yes and No-No) 2. 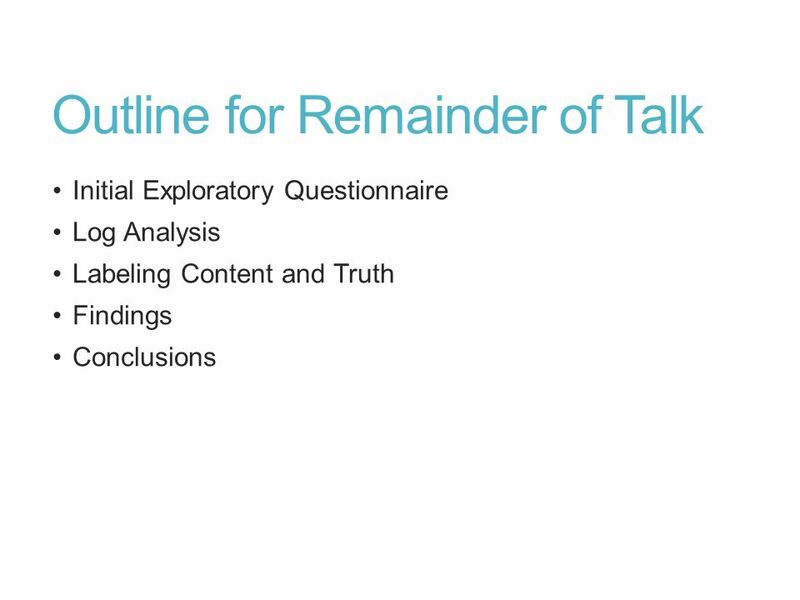 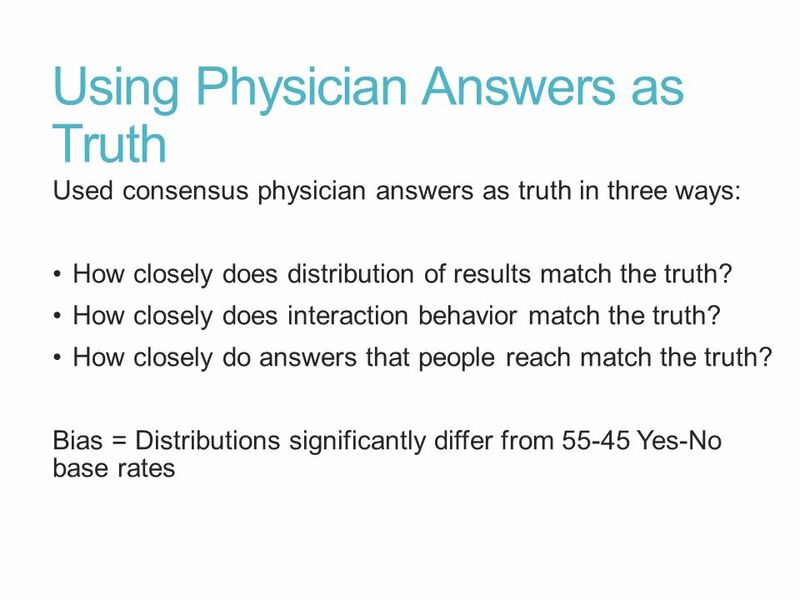 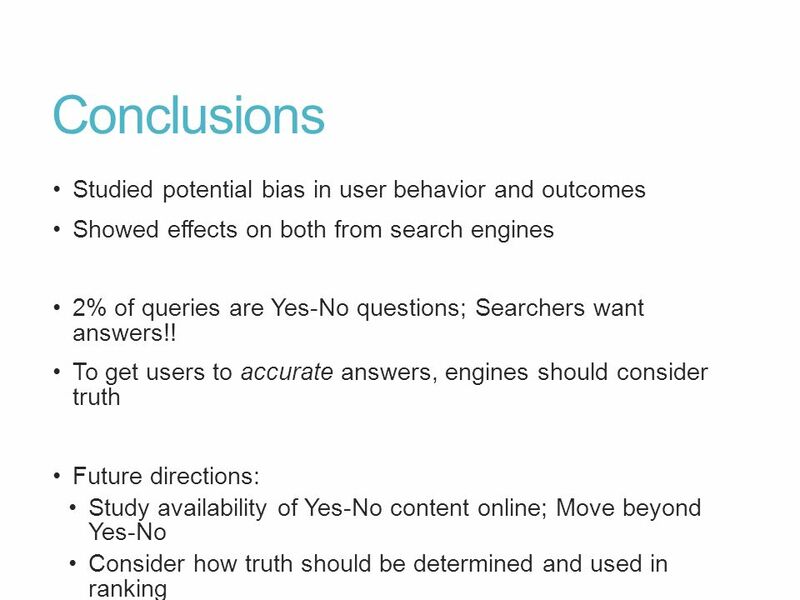 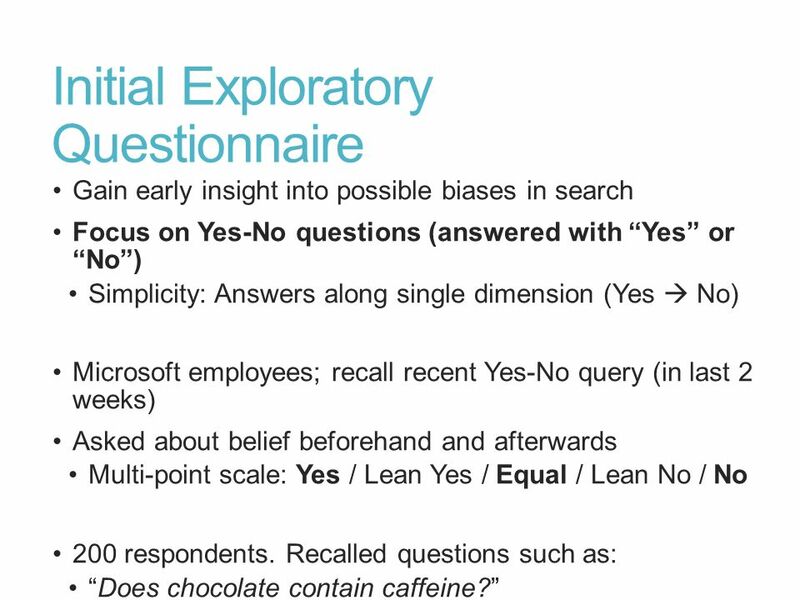 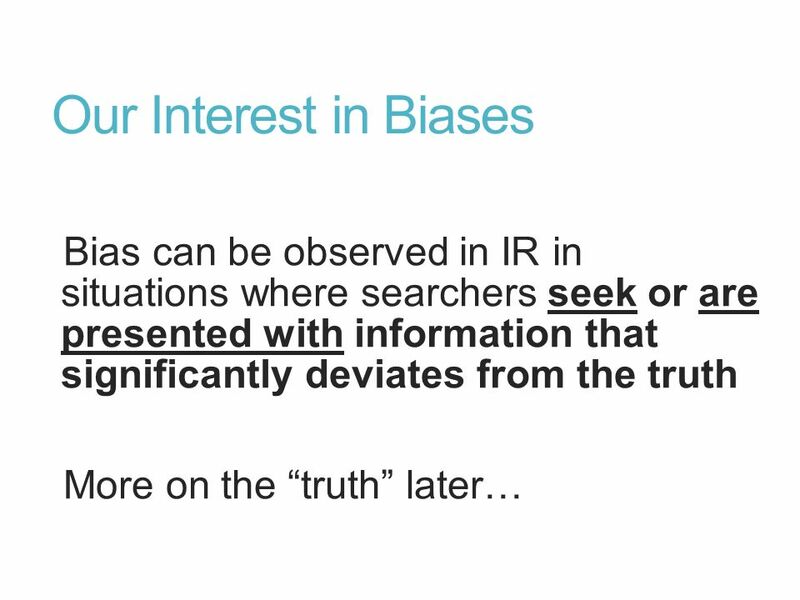 If Before = Equal, then 2x as likely to believe Yes after search Motivated us to: Further explore possible impact of biases on behavior and outcomes Confirmation? 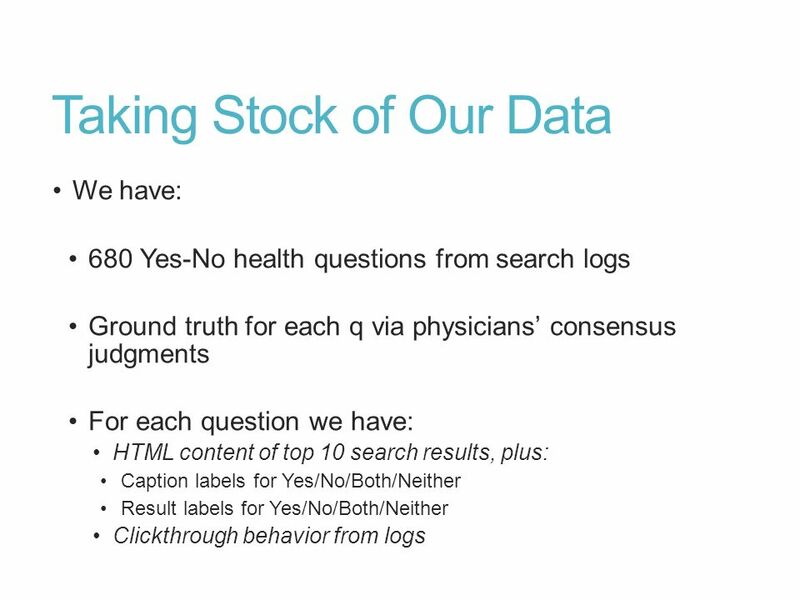 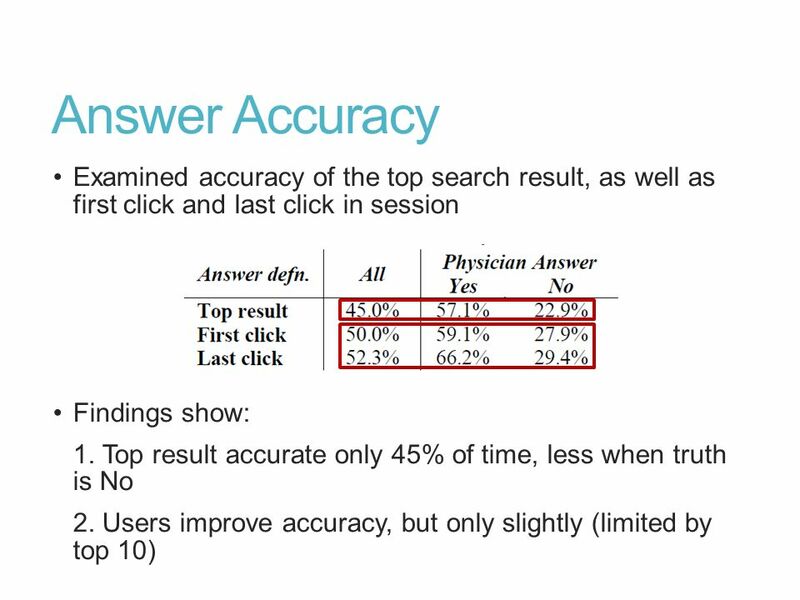 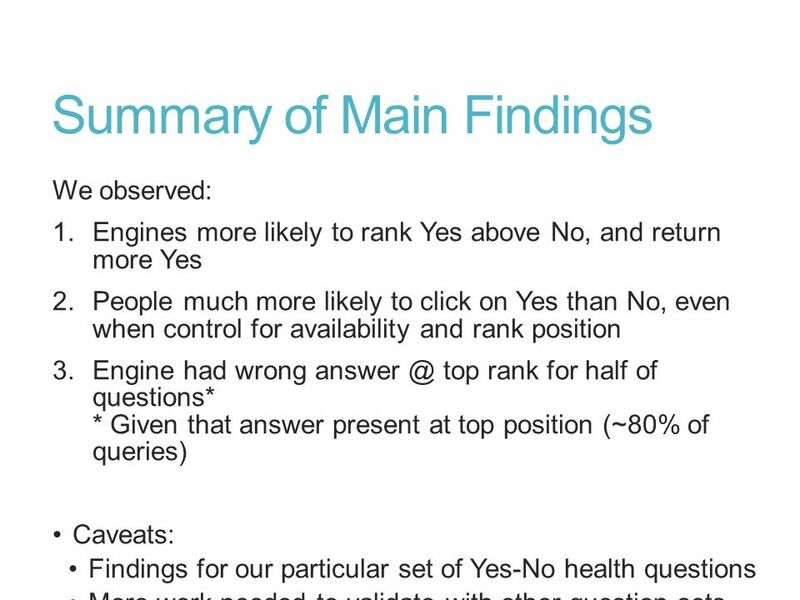 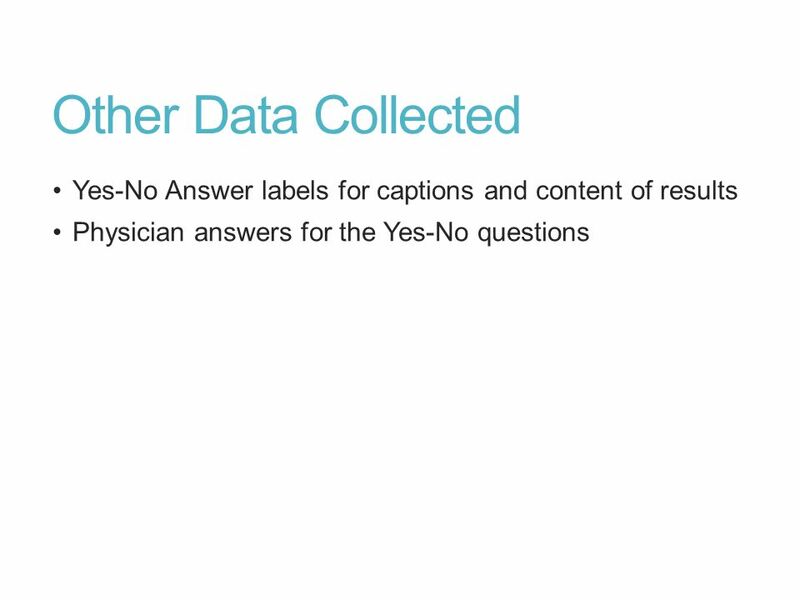 We observed: Engines more likely to rank Yes above No, and return more Yes People much more likely to click on Yes than No, even when control for availability and rank position Engine had wrong top rank for half of questions* * Given that answer present at top position (~80% of queries) Caveats: Findings for our particular set of Yes-No health questions More work needed to validate with other question sets, domains beyond health, etc. 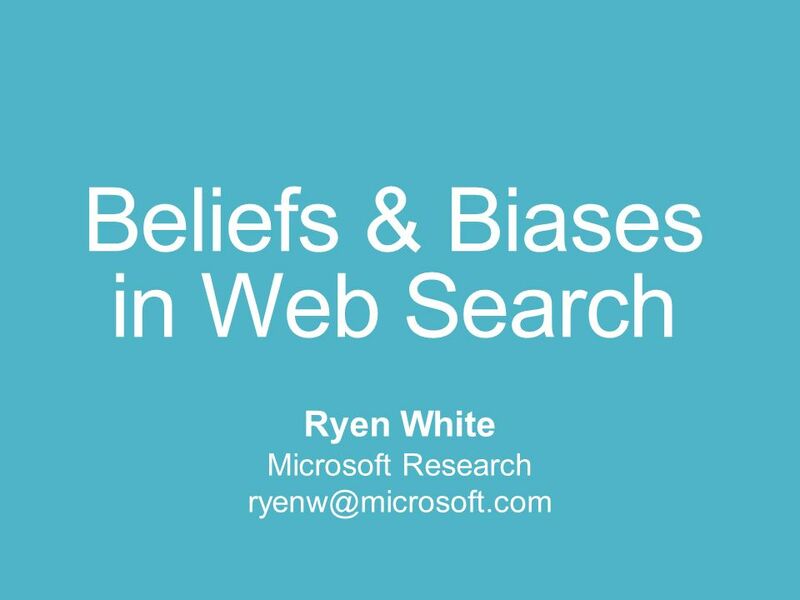 Download ppt "Beliefs & Biases in Web Search"
Assieme: Finding and Leveraging Implicit References in a Web Search Interface for Programmers I am Raphael Hoffmann and this is joint work with James Fogarty. 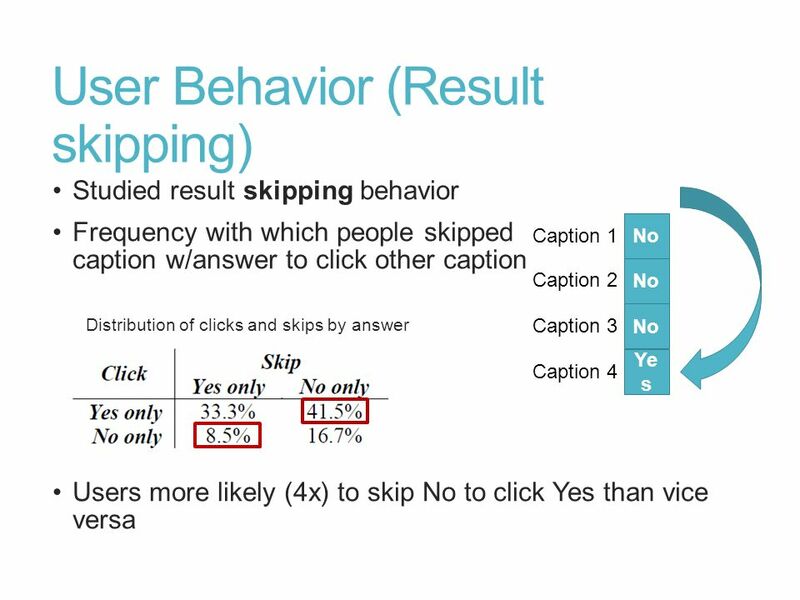 Accurately Interpreting Clickthrough Data as Implicit Feedback Joachims, Granka, Pan, Hembrooke, Gay Paper Presentation: Vinay Goel 10/27/05. 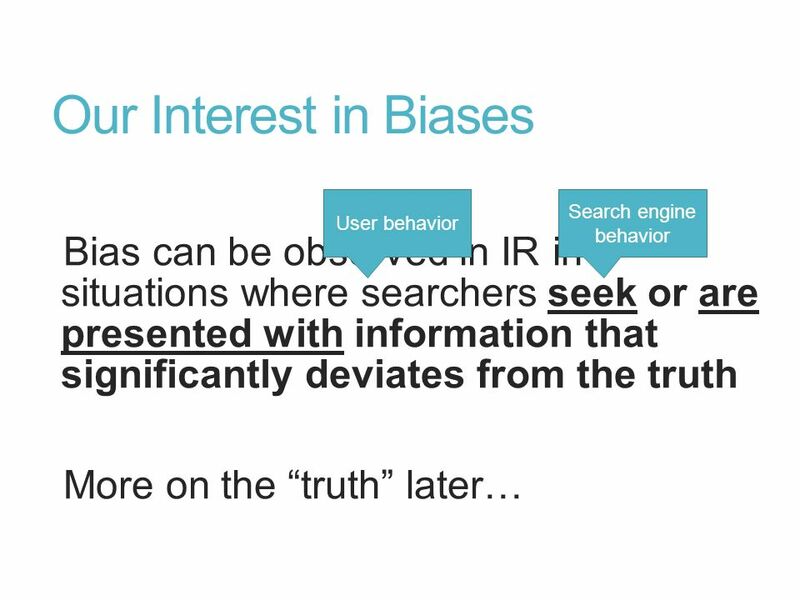 “Do users do what they think they do?” – a comparative study of user perceived and actual information searching behaviour in the National electronic Library. 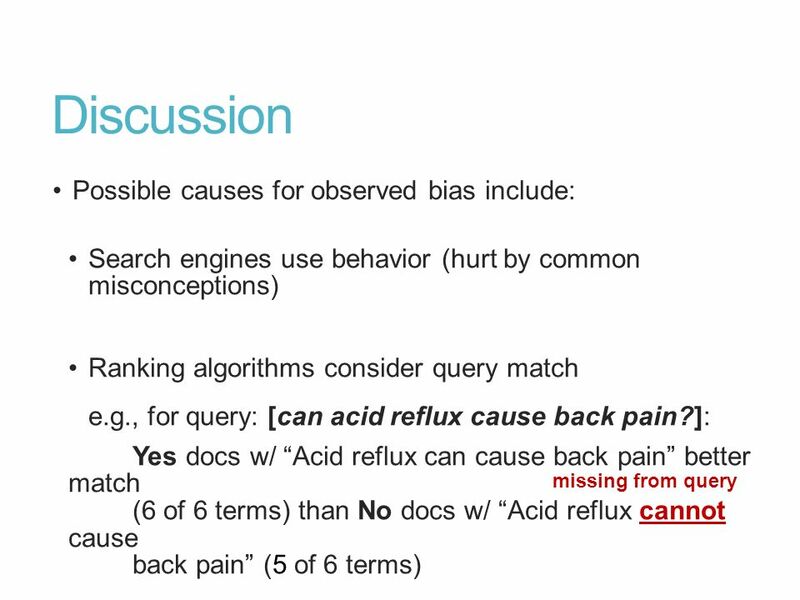 Query Chains: Learning to Rank from Implicit Feedback Paper Authors: Filip Radlinski Thorsten Joachims Presented By: Steven Carr. 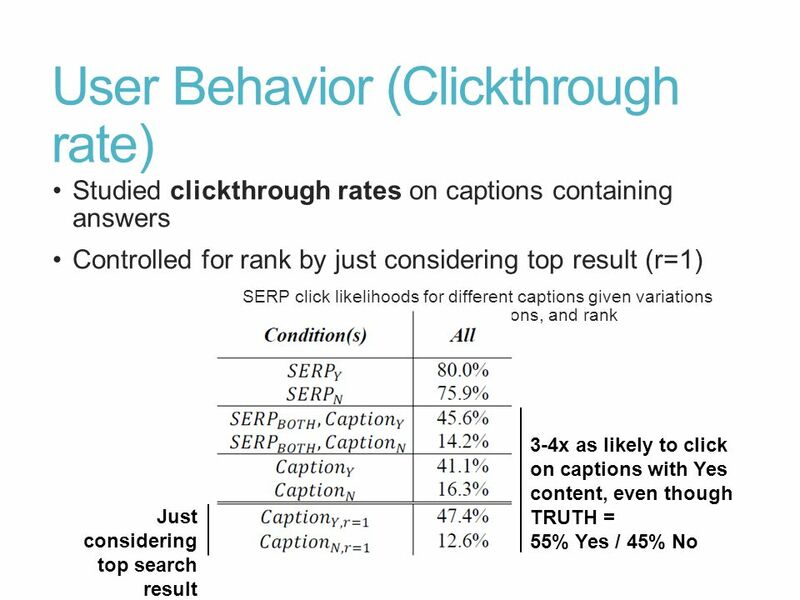 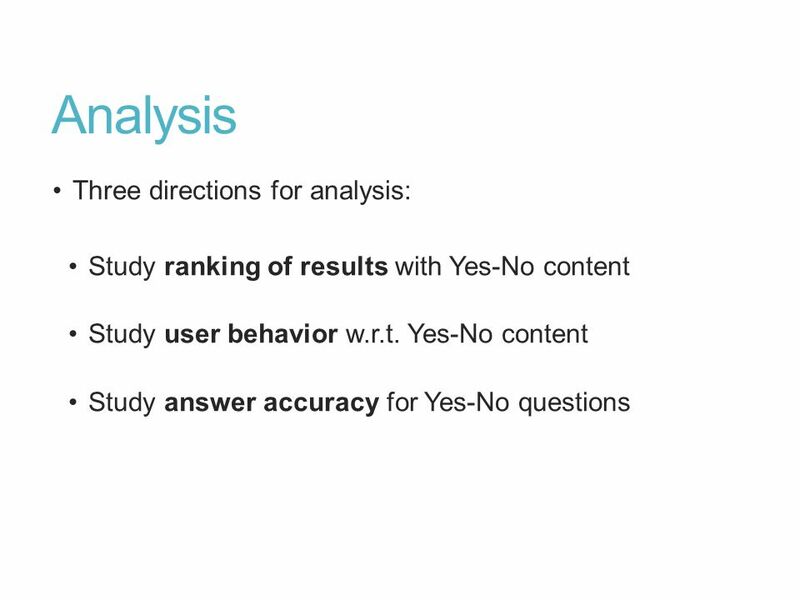 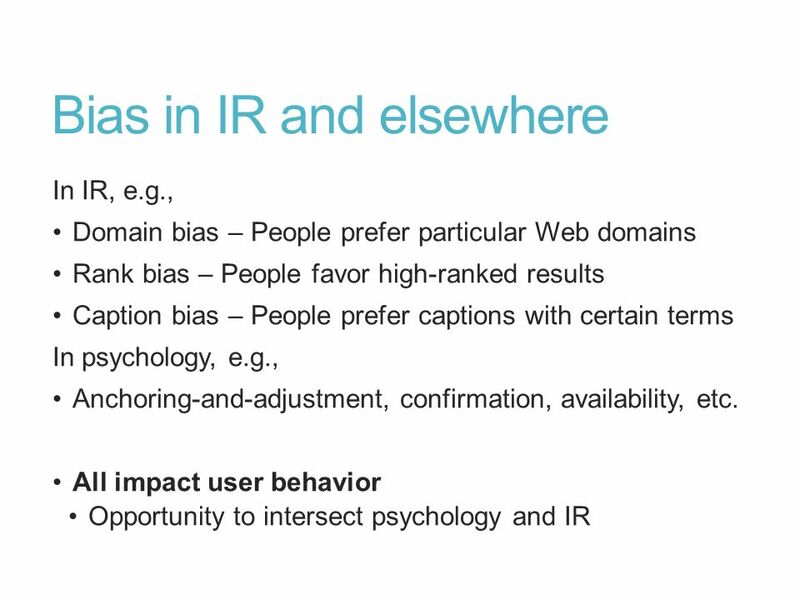 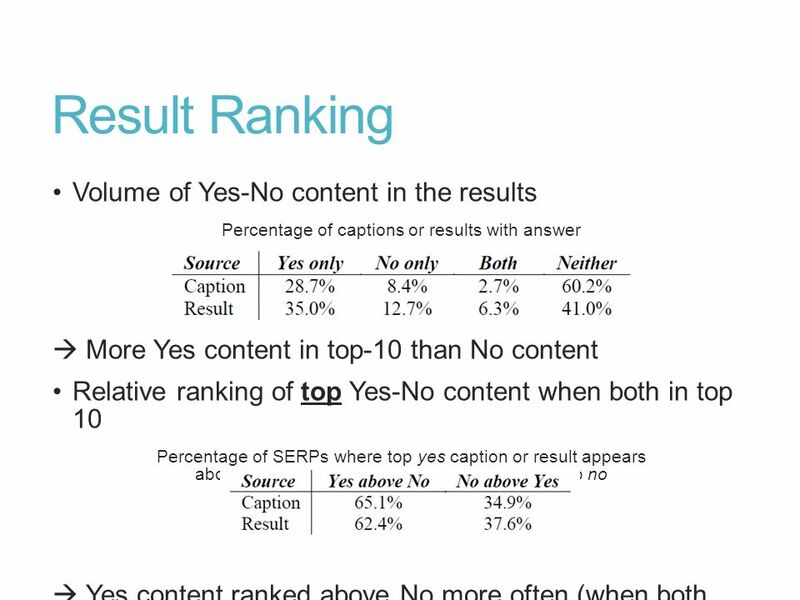 1 Learning User Interaction Models for Predicting Web Search Result Preferences Eugene Agichtein Eric Brill Susan Dumais Robert Ragno Microsoft Research. 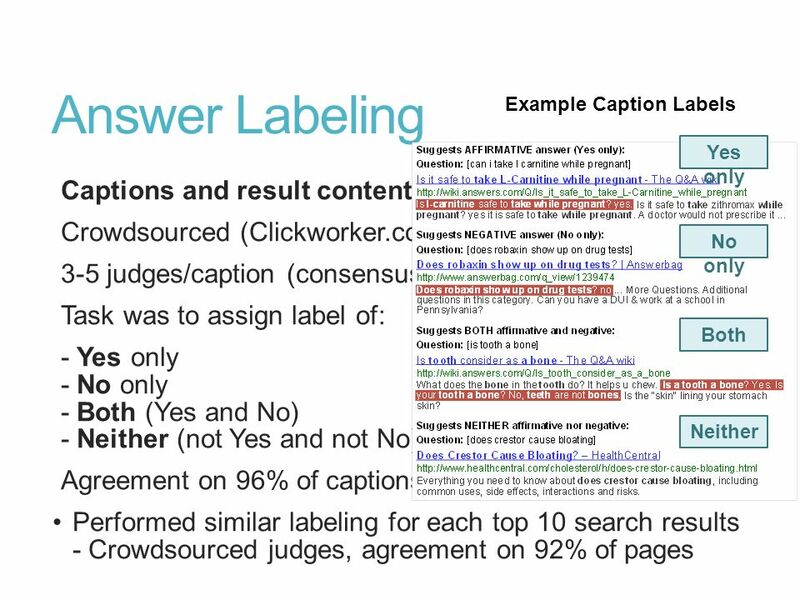 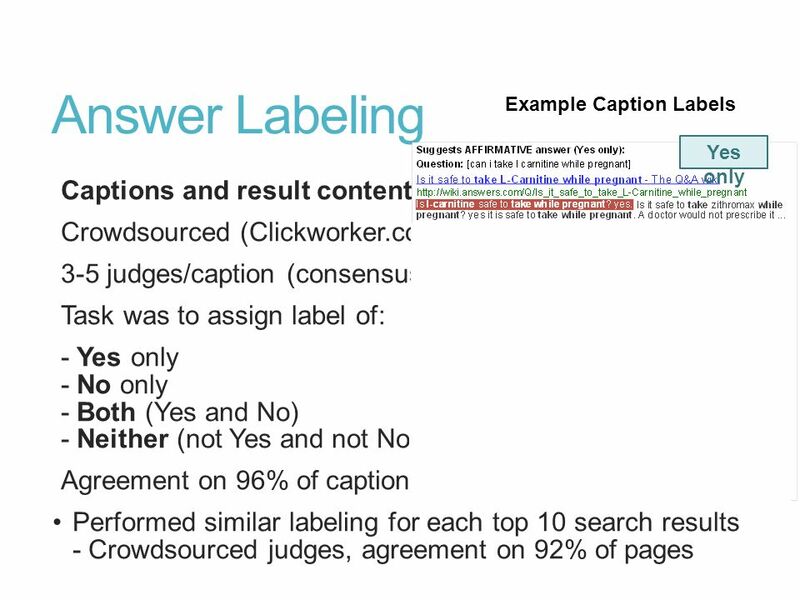 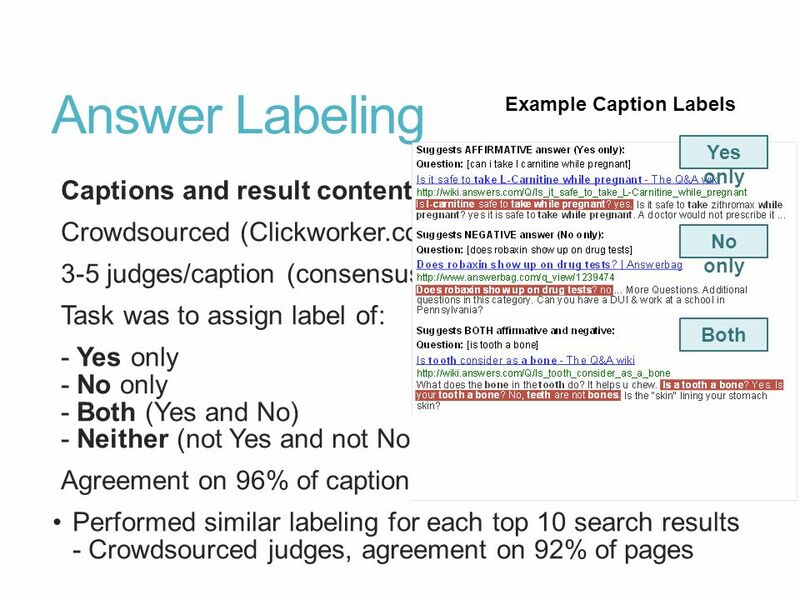 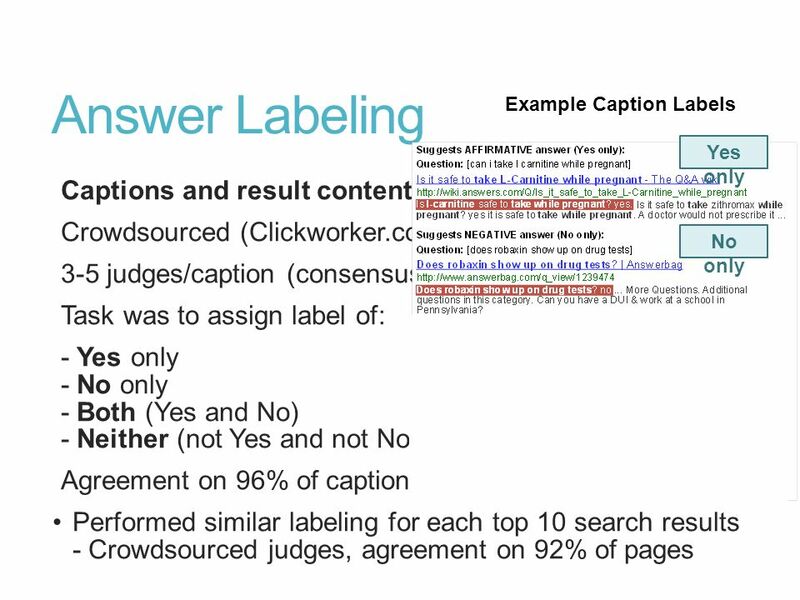 Context-aware Query Suggestion by Mining Click-through and Session Data Authors: H. Cao et.al KDD 08 Presented by Shize Su 1. 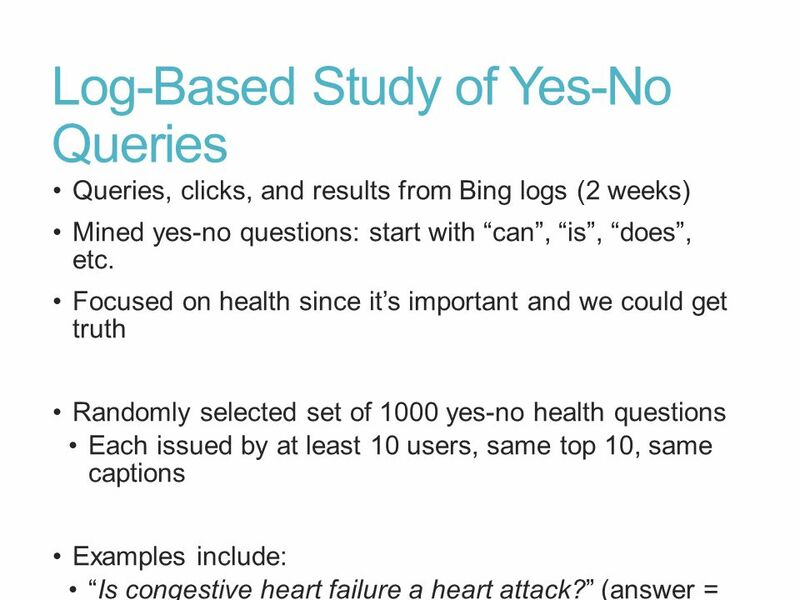 Adish Singla, Microsoft Bing Ryen W. White, Microsoft Research Jeff Huang, University of Washington.